We have covered sofos1990 breaking records in the past and apparently the Greek overclocker did it again. 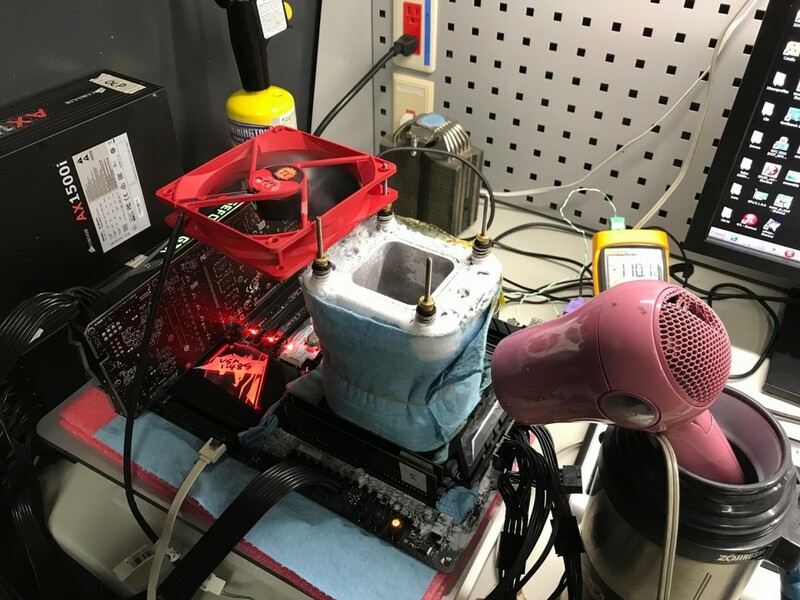 This time he pushed a new Intel Core i9-7900X CPU to 6.01 GHz using a Gigabyte X299 SOC Champion motherboard and liquid nitrogen cooling. The clock speed was achieved using 102 MHz BCLK and a multiplier of 59. As we mentioned before, the system was based on a Gigabyte X299 SOC Champion motherboard and an Intel's Core i9-7900X CPU, which was pushed to 6.01 GHz at 1.6v. 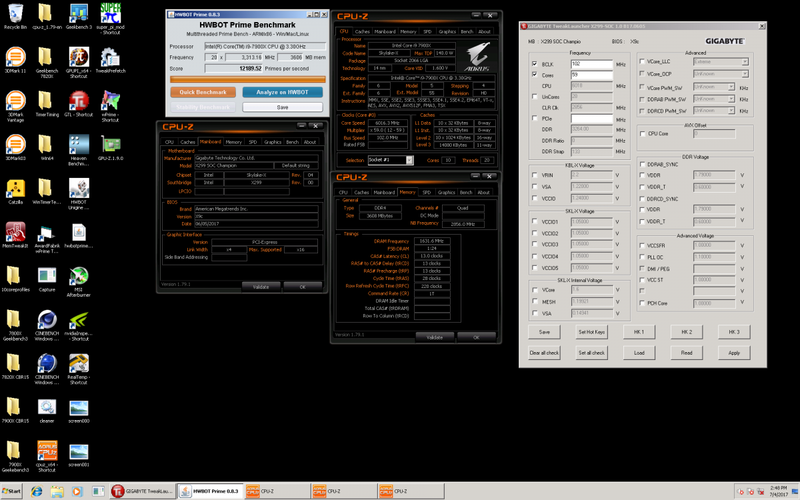 Aside of that there was 32GB of DDR4 memory set to work at 3270MHz and CL13 timings. Running these clock speeds the system achieved 12'189.52 points in HWBot Prime. This the highest score that’s been realized with any 10-core CPU so far, outperforming the Core i7-6950X’s former record of 11'018.67 points by quite a margin. We expect to see even even higher clock speeds from other overclockers soon. So far the Intel Core i9-7900X is the first i9 model that’s available. In the end the entire Skylake-X family is going to features 6, 8, 10, 12, 14, 16 and 18 core SKUs, while we’re still waiting for the 12, 14, 16 and 18 core chips. According to the latest rumors, the 12 core i9-7920X processor is expected to start shipping in August, while the i9-7940X, i9-7960X, and i9-7980XE aren’t going to be available before October.